3740 Forest Run Rd, Mountain Brook, AL.| MLS# 830190 | Richard Jacks UABLIVING.com 205-910-2297 | Birmingham AL Real Estate | Contact us to request more information about our Homes for Sale in the Birmingham AL area. 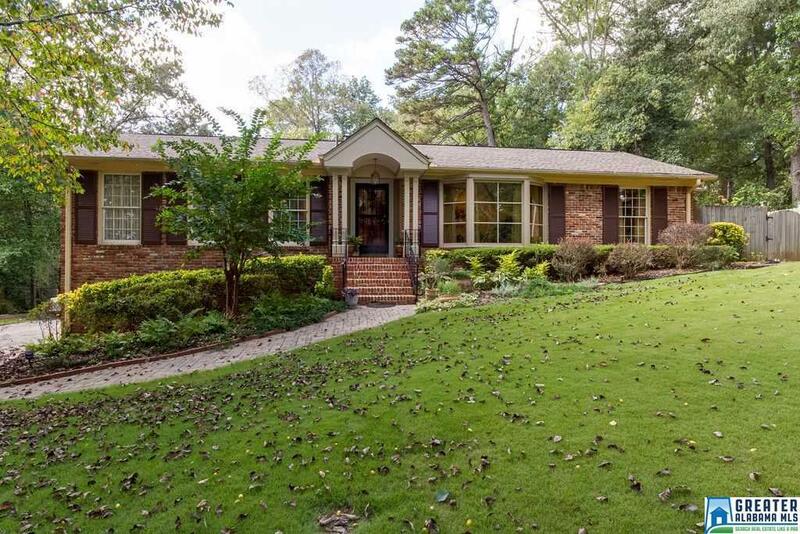 Gorgeous Mountain Brook/Brookwood Forest home on a desired street! Updated kitchen and bathrooms. Kitchen features a large island, high end stainless appliances, and and office nook! Inviting courtyard feel patio off of the french doors in the kitchen that lead to a multi tiered deck overlooking an expansive back yard! Hardwood floors throughout the main level as well as hardwoods under the carpet in the bedrooms according to the seller! Both finished and unfinished basement area. The finished area does not have a "basement" feel! Nicely done! There is an office/study in the basement that is currently being used for a 4th bedroom as well as a laundry room, full bath, and a craft nook! The unfinished portion offers room for a weight room as well 2 car parking, work bench, and plenty of storage! Come and make this your home today!! Driving Directions: From Overton Road: Turn Onto Oakdale Dr. Turn L Onto Bethune Dr. In 1/2 Mile Turn L Onto Valley Head Road. Turn L Onto Forest Run Road. Home On The Right.